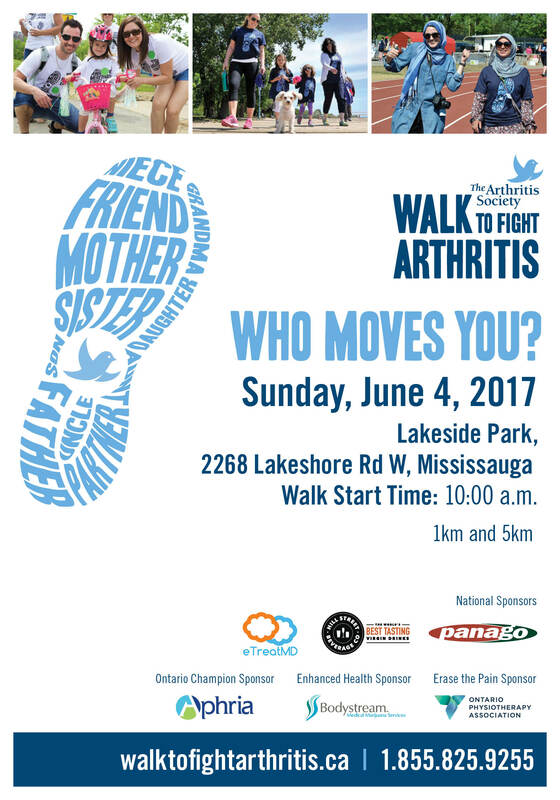 The Walk to Fight Arthritis is happening in over 40 locations on June 4, 2017. The Walk has raised over $8 million to date in the last seven years and is hosted each year to spread awareness and promote understanding about arthritis. The funds raised during the Walk help to fund imperative scientific research and each dollar brings us one step closer to finding a cure. Walk Start Time: 10:00 a.m.
Join us for the 11th annual the Oakville Conserves Energy Fair! More than ever, we are bringing you the latest and greatest in renewable energy, electric vehicles, LED lighting, utilities management and more to explore. Meet with energy efficiency experts to learn how you can save energy and money by making small and simple changes at home, work, and in your commute. New features at the fair! Interactive solar and wind displays from TREC Education – experience firsthand as renewable sunlight and wind are converted into green energy. If you wish to exhibit at the 2017 Energy Fair please complete the registration form and email it to oakvilleenergyfair@oakville.ca. OakvilleGreen will be hosting their annual community garage sale and barbeque outside in the parking lot from 8 a.m. to 1 p.m. Don’t miss out on all the great deals! The Ontario Municipal Board has rejected ClubLink’s appeal by upholding the town’s Interim Control By-law (ICBL) and its one year extension, concluding that the ICBL was appropriate and necessary. The Board’s decision noted that the town’s ICBL was based on a legitimate planning rationale, was enacted in good faith, and was in conformity with the Region of Halton Official Plan and the Provincial Growth Plan. The OMB’s decision ensures the town will have sufficient time to complete its studies on the Glen Abbey property. Staff will be reporting to Council over the next month on all three studies. Any further work directed by Council as a result of the studies is expected to be completed before the ICBL expires on February 1, 2018. Livable Oakville Subcommittee, Town Hall, May 15, 1 p.m.
Public information meeting, Town Hall, May 30, 7 p.m.
Planning and Development Council, Town Hall, June 12, 7 p.m.
Planning and Development Council, Town Hall, May 15, 7p.m. Members of the public are invited to attend these upcoming meetings. To register as a delegate to speak at the Planning and Development Council meetings, please call 905-815-6015 or email townclerk@oakville.ca by noon the day of the meeting. The ICBL, originally passed on February 1, 2016 with a one-year extension, will now remain in effect up to January 31, 2018. Section 38 of the Planning Act (Ont.) permits a municipality to pass an ICBL for up to a year (with the right to extend the by-law for a further year) in order to complete a review or study of land use policies in the municipality. For more information, review the summary of the decision on the Interim Control By-law page. The rules for removing trees on private property have changed. As of May 2, 2017, property owners must apply for a permit and on-site consultation before removing any tree that has a trunk measuring 15 cm or larger in diameter (5.9 inches in width). The urban forest is made up of all the trees growing in Oakville, including town-owned street and park trees, trees in forested areas, as well as trees on private property. We’ve strengthened our private tree protection by-law to help us preserve healthy trees and protect our community’s urban forest. If you’re making home or garden renovations, consider ways to make your trees part of your plan. Need to remove a tree? You might need a permit. Fill out our simple online Private Tree Removal Permit Application and receive an on-site consultation from one of our tree inspectors.